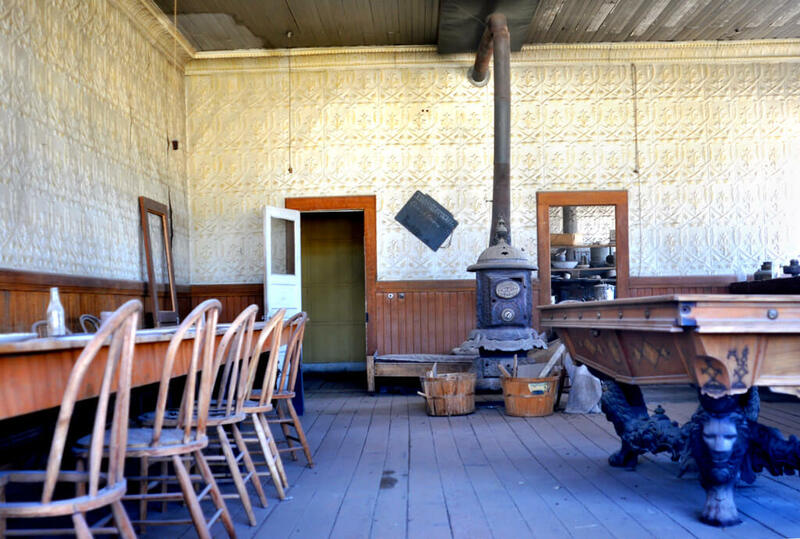 Located 75 miles southeast of Lake Tahoe, California lies the ghost town of Bodie. In the beginning, Bodie was nothing more than a small mining camp made up of prospectors looking to get rich. 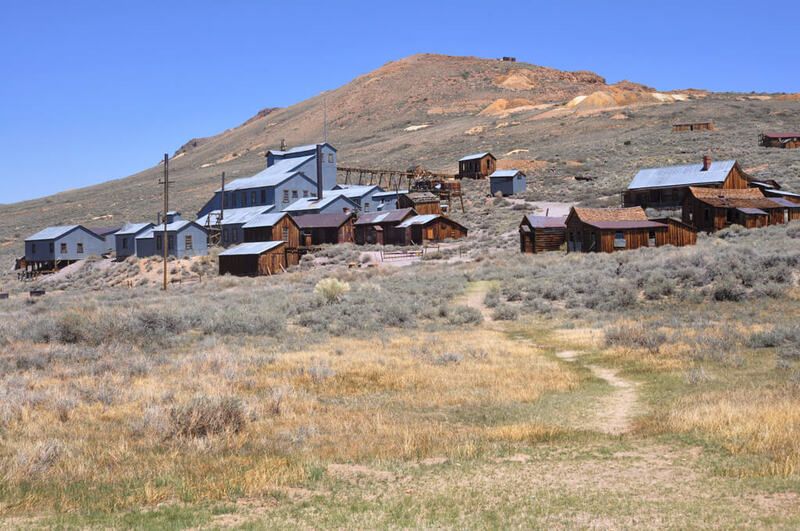 However, after they struck gold, Bodie turned into one of the biggest and most successful boomtowns of the gold rush era. Full of gold, gunslingers, barfights, and prostitution, Bodie was the essence of the Wild West. Yet, over the years, it became smaller and smaller until nothing but the structures remained. 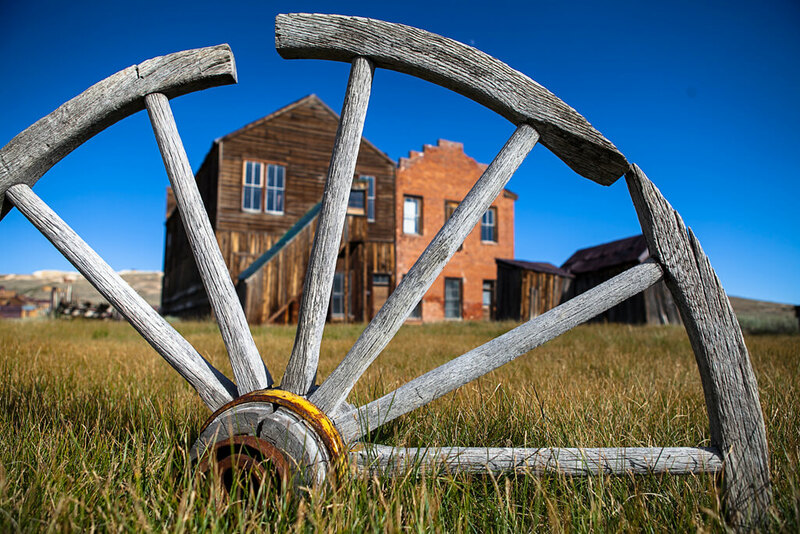 Learn about the history of Bodie and how the town went from one of the most successful to completely forsaken by the people that once called it home. 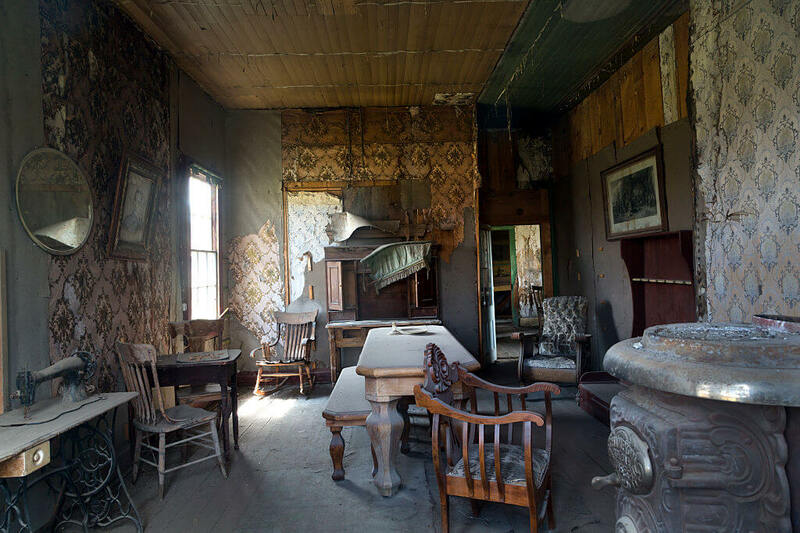 What happened in 1876 changed everything for the small town of Bodie. Unfortunately, W.S. Bodey never lived long enough to see the establishment named after him. By 1968, while nearby towns of Aurora and Virginia City were exploding in wealth and population, Bodie remained unsuccessful. Then, in 1876, after years of no luck, the Standard Company discovered a deposit of gold-bearing ore. This discovery transformed the little mining camp of only a few prospectors into a Wild West boomtown in a matter of years. Even more gold was discovered in 1878, which made Bodie even more attractive for gold miners and their families. 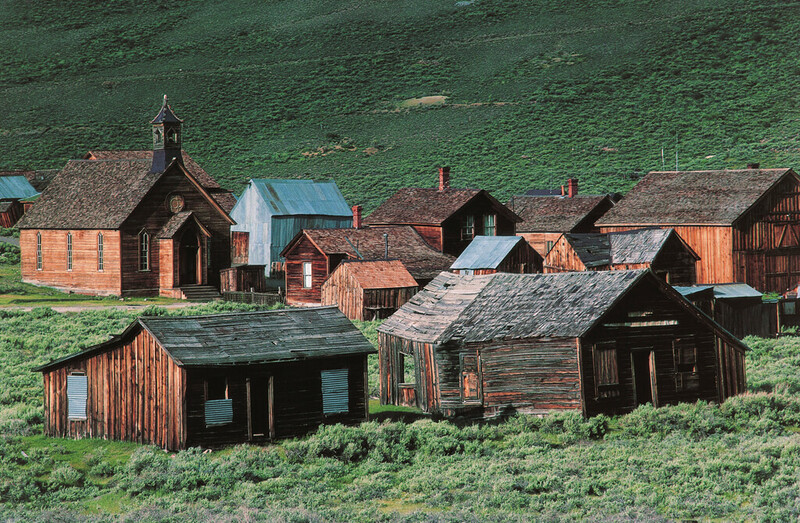 By 1789, Bodie’s population had grown to 5,000-7,000 inhabitants with over 2,000 buildings. 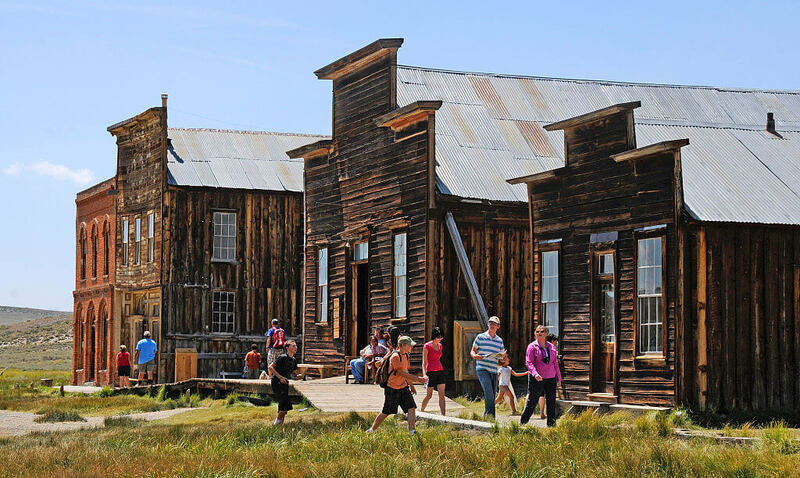 According to some, in 1880, Bodie was the third and maybe even second biggest city in California. However, these claims were disproven by the U.S. census of 1880. Do you know what to “have a man for breakfast” means? Bodie’s biggest boom in popularity was between 1877 and 1880. During that time, the first newspaper The Standard Pioneer Journal of Mono County was published. Although the paper started as a weekly publication, it soon grew to thrice-weekly to keep up with all of the new information about the town. Besides, the telegraph line had just come out which connected Bodie to other boomtowns such as Bridgeport and Genoa, Nevada. Both California and Nevada papers were making predictions that Bodie was going to become the next Comstock Lode. This assumption sent everyone into a frenzy, and people in the surrounding areas began packing up and heading to Bodie. 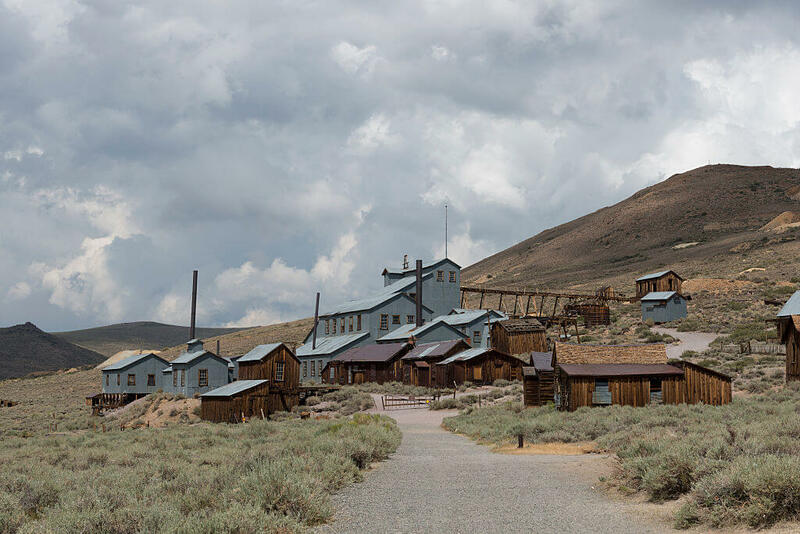 After Bodie had developed into a mega-successful gold mining center, it grew to have a Wells Fargo Bank, four volunteer fire companies, a brass band, railroad, worker unions, a jail, and more. At the height of its success, it had 65 saloons on the main street which was over a mile long. With the town’s success and large population, violence, and crime became a norm. A common saying in the town was “Have a man for breakfast?” Which meant, “Did anyone get killed last night?” Bodie even had a Chinatown with several hundred Chinese residents, a Taoist temple, and more than enough opium dens. Like most other mining towns, Bodie had an unspoken red light district for prostitution on the northern part of the town. Here, the legend of the prostitute Rosa May was born. According to the miners, Rosa May was explained as the Florence Nightengale of miners who came when town after the town was hit with a nasty epidemic during the population’s height. She is credited with saving the lives of countless miners, although when she died, she was buried outside of the cemetery walls. Along with the established cemetery, there is also Bodie Boot Hill, where they buried gunslingers or others who died “with their boots on.” These cemeteries were common in most mining towns in the Wild West. Learn about the new technology that helped keep Bodie afloat. The decline of Bodie’s intrigue first began to show toward the end of 1880. That year, places such as Butte, Montana; Tombstone, Arizona; and Utah started to show signs of promise. Those who came to Bodie to get rich quick left just as fast to these other places that were rumored to be the next big thing. As the miners began to clear out of Bodie, the town started to evolve into a place where people could settle down and raise a family. Churches were built in 1882, and although the population was much smaller, the mines were showing no sign of slowing down. In 1881, the mine’s ore production was estimated to be around $3.1 million. 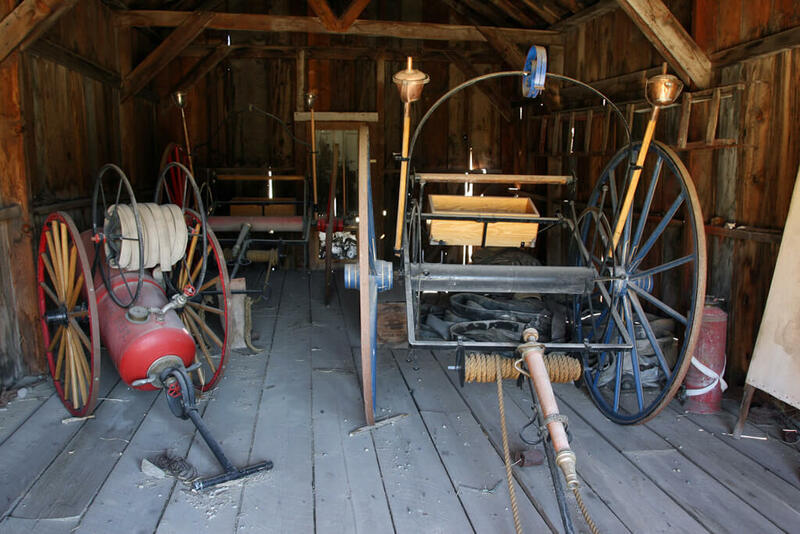 By the 1890s, Bodie was beginning to experience the benefits of technological advancement when it came to mining. In 1890, the method of using cyanide to process the ore was introduced. The process allowed miners to extract all of the gold and silver possible from even low-grade ore, which proved to be very profitable for the community. Also, in 1882, the Standard Company built a hydroelectric plant 13 miles away from the town to power the company’s stamp mill. The plant was one of the first examples in the country using long-distance electricity. However, by 1910, the population was only 698 people, mostly just families that stayed behind rather than chase other mining strikes. It didn’t take long for the town to begin to fall apart. 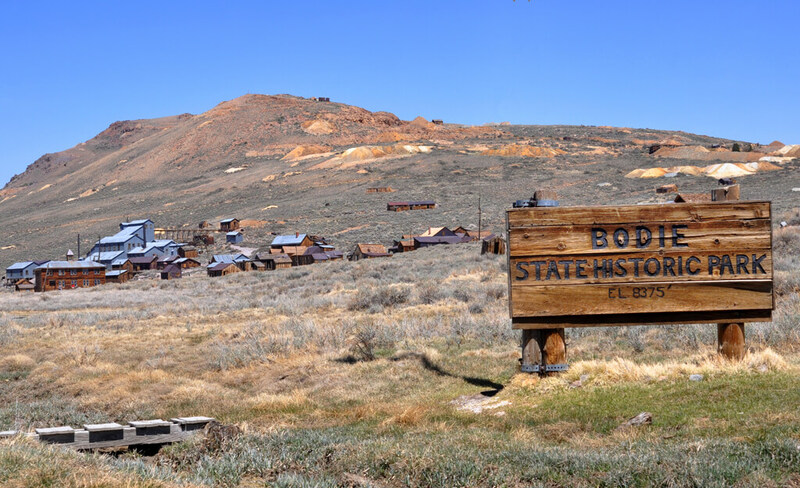 The first sign that Bodie was failing as a town became obvious in 1912 after The Bodie Miner printed its final paper. Then, in 1913, the Standard Consolidated Mine closed its doors with profits being as low as $6,821 by 1914. Although there was a resurgence in a profit of up to $100,000 in 1915, it wasn’t enough to save the town from its decline. In 1915, Bodie was described as a “ghost town” even though there were some residents that lived there. By 1917, the railroad was closed, and in 1920, Bodie’s population was recorded at 120 people. 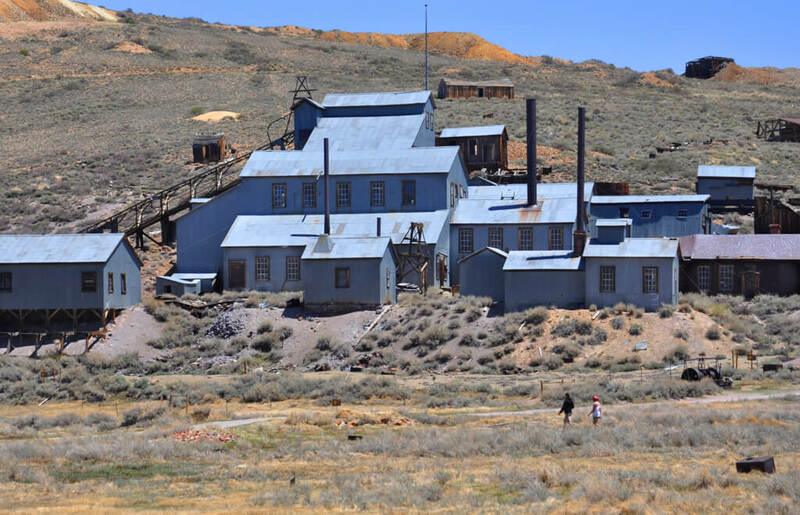 Bodie continued to have permanent residents through the first half of the 20th century until the last mine was closed in 1942 due to the War Production Board. During the 1940s, a major issue surrounding the already crumbling Bodie was vandalism. At that point, the Cain family owned much of the land and was forced to hire caretakers to guard and ward off any potential vandalists. A man named Martin Guanettoni was one of the last three people living in Bodie in 1943 and was hired on as a caretaker. For the most part, the plan worked and Bodie was protected until it was taken over by the government for further protection. It wasn’t long until it became an authentic Wild West ghost town. Luckily, you can still check out Bodie for yourself! In 1961, Bodie was a designated as a National Historic Landmark, and in 1962, it was established by the state of California as Bodie State Historic Park. Today, over 170 of the original buildings remain and the town has been labeled as California’s official state Gold Rush town. With over 200,000 visitors per year, Bodie has been preserved in what is known as arrested decay. The interior and exterior of most buildings are in the same state as when they were abandoned. Tourists can still find traces of fine china on the dirt roads, square nails, and other evidence of a once bustling mining town. However, it is forbidden to touch or take any of it. Thanks to the Bodie Foundation the town is still open for viewing today.